The Green and Saddle Farm Resort more popularly known as “The Farm” started as a private rest house of the Reyes Family. It was built by Mr. Ernesto and his wife Mrs. Gelicia who are former owners of a construction company called VECC . After a while, they decided to retire from the construction business and consulted their son and daughters for another business to venture into. The youngest son proposed to utilize their rest house as an income generating property. From there, they started to build one swimming pool to test if there is a possible market. They posted it on the Internet as “Private Swimming Pool for Rent”, and then after some time, it showed quite a substantial interest from the public. Multiple bookings came rushing in; the facilities can no longer accommodate the guests who are willing to make a reservation to the resort. On April 2012, The Green and Saddle Farm Resort was formally established. The family decided to continually improve the facilities up to the present. The resort is divided into three parts, on which each part can accommodate one group. It now has four swimming pools, fourteen rooms, a function hall and sports amenities such as basketball half-court and volleyball. The resort continues to cater different events as weddings, birthdays, corporate activities (team building, seminars and trainings), debuts, baptismals, retreats or recollections and movie shootings. 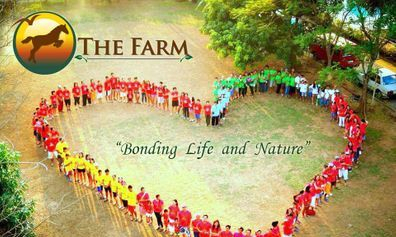 The Green and Saddle Farm Resort aims to be the leading nature-friendly resort in Cavite offering exceptional food and accommodation for life’s events. We, at The Green and Saddle Farm Resort, are committed to provide excellent service by preserving a nature-friendly environment, providing quality experience and privacy at an affordable price for the pleasure of our local and foreign resort guests. We commit to continuously improve the resort’s food services, accommodation, and recreational activities by adapting applicable technological advancements. We adhere to enhance human well-being by investing on renewable resources to protect the environment and by providing growth and financial soundness to all the members of the organization.